Global shipping rates are astonishingly low right now; it’s possibly never been cheaper to ship goods around the world, ever. The China Containerized Freight Index collapsed to its single lowest point this week. As of November 2015, it costs $300 to move a 40-foot container from Shenzhen to Rotterdam, which is barely enough to cover the cost of fuel, handling, and Suez Canal fees. Here’s some more context. 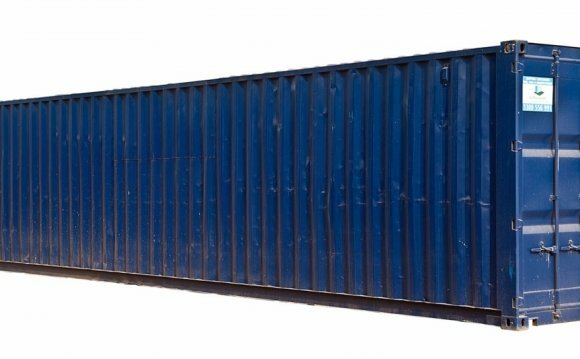 Let’s say that you want to travel for a year; it’s cheaper to put your personal belongings in a shipping container as it sails around the world than to keep it at a local mini-storage facility. No ocean carrier can earn returns above its cost of capital at these price levels. A slowdown in demand has contributed to this price collapse, but it can’t entirely explain record low freight prices. In spite of a very real downturn in Chinese exports, trade volumes remain higher than just a few years ago, when container shipping prices were relatively high. Instead, the collapse in prices is mostly driven by overinvestment in shipping capacity by ocean carriers. The newest generations of container ships are larger and so much more efficient than previous ships. Lower costs matter in commodified industries like freight shipping, and it’s no surprise that global container lines have aggressively upgraded their fleets. It takes about three years to build and outfit a container megaship. And it was three years ago that the many carrier lines decided to invest in larger ships, when freight prices were near a historic high. At the time, carriers expected freight prices to be high and global trade to be growing quickly. That turned out not to be the case, and now there’s much greater supply. The expected profits from more efficient ships has never materialized. As every shipping line made similar investments, they drove down the baseline market price, competing profits away. It’s been a classic arms race. To make matters worse, not only have carriers not made profits, they’ve found themselves burdened with enormous loads of debt and anemic rates of return. The problem is likely to get worse before it gets better. The Boston Consulting Group previously said that it anticipates a 30% increase in container shipping capacity by 2019. Maersk has now announced that it will cancel orders for its last six Triple-E class ships. Furthermore, barring some unforeseen economic miracle, global trade is unlikely to grow at a rate to keep up. Some carriers have diversified into higher-margin industries, such as port terminal operations, offshore oil development, supply chain management, and marine maintenance services. But for those that haven’t diversified outside their industry, it’s likely too late now. There’s no reason to think they will be better at buying or starting businesses than their investors, and many reasons to think they will be worse.